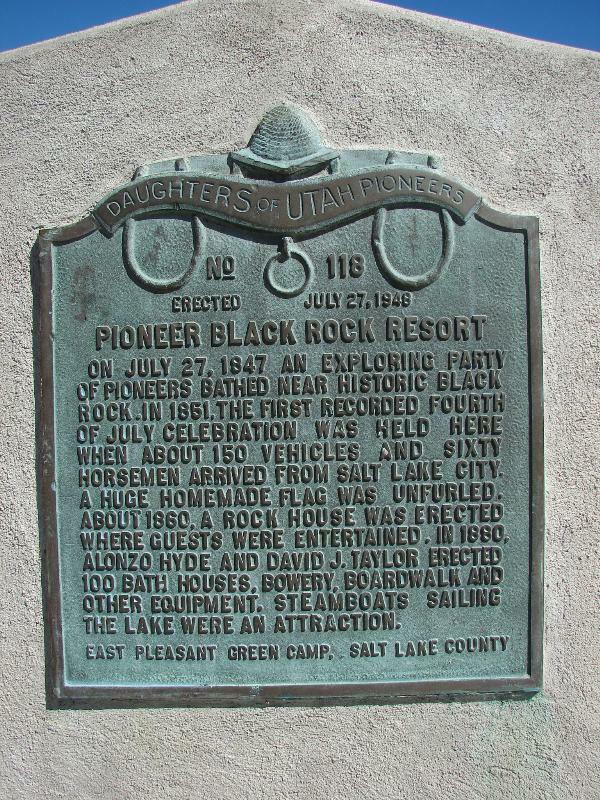 On July 27, 1847 an exploring party of pioneers bathed near historic Black Rock. In 1851, the first recorded fourth of July celebration was held here when about 150 vehicles and sixty horsemen arrived from Salt Lake City. A huge homemade flag was unfurled. About 1860, a rock house was erected where guests were entertained. In 1880, Alonzo Hyde and David J. Taylor erected one hundred bath houses, bowery, boardwalk and other equipment. Steamboats sailing the Lake were an attraction. D.U.P. Marker #118 (Other markers listed here) Also located at this Interstate 80 pull-off are D.U.P. 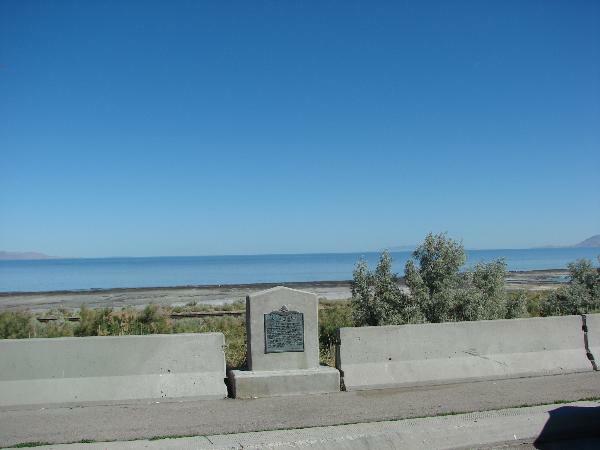 Marker #115 and Jedediah Smith’s Trail – Great Salt Lake. The above photos were taken by me in 2018, below, by me in 2008. Here’s the link to my list of places in Utah or my list of DUP markers.